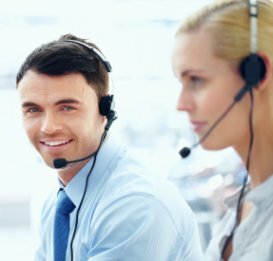 Use this telesales motivation technique to close more sales or make more sales appointments and most importantly enjoy making cold calls. Many people hate cold calling, whether it’s for sales appointments or to sell, they lose focus, easily get distracted, and find excuses to avoid calling, but with a good motivation technique they can enjoy making the calls. I know exactly how you feel, I’ve been in your seat and I’ve made the calls. I’ve also managed teams of telesales and telephone appointment makers. I've seen how they can get de-motivated and lose confidence after taking lots of rejection. That’s why I developed this simple telesales motivation technique. It helps cold callers to grow their confidence, keep focused, and increase their results, no matter what type of calls they make. The usual approach to making sales or appointment cold calls is to have a target for how many sales you close or appointments that you get confirmed, getting a YES to your call. Instead of focusing on how many YES’s you get I want you to focus on the NO’s. I know that sounds crazy but read on. Think about it, you can’t get disappointed or de-motivated if you are counting how many NO’s you get. When you're ready to make your next call follow these actions. Take a pen and paper and list the numbers one to ten down one side. These are the 10 NO’s that you are looking to get before you stop making calls and take your first break. Stick with it this works. A decision maker refusing to listen to your sales pitch or giving you a definite no to a sale after you have attempted to overcome all sales objections. And not being able to speak to the decision maker. For a NO to qualify to make it onto your list you have to speak to a decision maker. As you tick off your 10 NO’s on your list note down the objections, the reasons you could not achieve your aim of closing a sale or not making an appointment. If you get stopped from completing your sales pitch note the objection that stopped you. Do not take a break before you have gained 10 NO’s. By counting the NO’s, instead of the sales or appointments, you no longer fear rejection. You don’t see your cold calls and telesales calls as a win or lose outcome. You see them as a win if you make the sale or gain the sales appointment. And a learn outcome, rather than a lose outcome, if you get an objection that you can’t overcome. This stops feelings of failure, rejection, and loss of confidence. You didn’t fail, you found out what you need to learn to overcome to be successful. You are creating a list of objections that you can then use as a sales training list to learn ways to overcome them. You will feel more relaxed and no longer worry about not getting a YES because you are studying the NO’s. This is the true meaning of every NO brings you closer to a YES. Your YES’s will increase as you learn to overcome the NO’s and best of all the success will give you confidence and help you to enjoy making cold calls.